1. On a PC/laptop/Mac, go to twitter.com and sign up. You don’t need to sign up under your real name but you will need a legitimate email address which can be your current one or a brand new one set up in advance for this purpose. Your twitter alias or username will be, for example, @FredBloggs but you can also separately show your real (or assumed) name. TOP TIP: Try and keep your username short. Mine (WhiteWednesday) is actually a bad example of a Twitter username. Some manage to keep it short (even as short as 4 characters) through deft use of numbers and letters. 2. Change the default ‘egg’ profile picture almost immediately and fill in your profile using one or two keywords like Brexit or EUref. Just helps others ‘locate’ you and take you more seriously. TOP TIP: Try and avoid changing your Twitter profile picture all the time. People tend to visually latch onto your picture as much as your username (maybe more so) so if you keep changing, to some extent they have to keep relearning who you are. It doesn’t have to be an amazing profound picture – it’s just a visual hook. 3. Start following people. You can find them through the search facility by either typing in a specific name or typing in a key word e.g. Flexcit; Brexit; etc. When you find someone (e.g. @RichardAENorth) look at who they are following as that will give you ideas on who else to follow. 4. Whenever the people you follow write something (or tweet something, to use the right term), you will see it appear in your timeline. A timeline is basically just the list you see of everything you and the people you follow have tweeted. 5. A tweet can only ever be 140 characters long. Web links to say EUreferendum.com or a newspaper website do however get shortened by Twitter to a fairly standard length so you don’t get unduly penalised if the link happens to be very long set of characters. 6. Other key concepts on Twitter are: retweets, likes, replies, mentions or notifications, direct messages and hashtags. a. A retweet is when you want to echo what someone has tweeted. I would say “you want to repeat what someone has tweeted” but that implies you have to type it all out again (which you don’t). You just hit a retweet button. The purpose of this is to “spread the word” to your emerging band of followers who may not follow the same people you do. Note that a retweet does not automatically mean you approve of what is being said. Well-known tweeters sometimes use retweeting as a kind of weapon when someone has sent them a very rude or hate-filled reply. They retweet the venomous reply so all their followers can see it (and then those followers often pile in to attack the source of the venom). So a retweet can be simply to highlight a tweet (for whatever reason) to your followers. b. If you ‘like’ someone’s tweet, it doesn’t necessarily mean you like it (in the proper sense of the word ‘like’). It may mean you simply acknowledge it. This can be useful at the end of a conversation or to just effectively say “I’ve seen this” when you don’t want to give a full reply. Perhaps someone has replied to your tweet saying “I loved that tweet!” in which case, marking their reply with a ‘like’ is basically saying “Thanks”. ‘Likes’ are also often used by people as a method of bookmarking tweets so you can go back and find them later. c. A reply is what you might assume it is. Someone tweets something, you hit ‘reply’ and it allows you to send them a reply. But please note if you start ANY tweet with the @ symbol. Twitter assumes you are having a side-conversation with that person and that not all of your followers want to see that conversation. You will therefore sometimes see people replying to a tweet but starting the reply with a dot or some other character….or they will simply put the @username they are replying to somewhere else in their reply. That way, their followers also see the reply to that person. d. A mention or notification just means that your username (@FredBloggs) has appeared in a tweet, reply, retweet or like. e. A direct message is a private message you can send at any time to someone you follows you. You can’t send a direct message in any other circumstances. e.g. if you only follow them but they don’t follow you back. f. A hashtag is something you can add to a tweet that may make it more searchable and topical (although it does chew up characters from the 140 character limit). A hashtag looks like this: #Thisisahashtag. A good hashtag is therefore short. E.g. #EUref (for EU referendum-related tweets), #Brexit, #Flexcit, #UKIP. The lower case or upper case is irrelevant. #euref and #EUref will be considered the same hashtag. Most news or current affairs TV/radio programmes now have an associated hashtag. For example, #BBCQT is BBC Question Time’s hashtag. People ‘live tweeting’ while the programme is on will often keep an eye on other tweets using that hashtag (so opportunities for others to see what you are saying). 1. There are examples of some quite profound wisdom that can be squeezed into the 140 character limit (and it allows you to relearn the old skill of précis). Remember that when writing a tweet. 2. For Gawd’s sake check for spelling, missing words etc before submitting a tweet. Regular mistakes – for some people in almost every single tweet – just marks you out as a weirdo who should be ignored. 3. Explore what you can do in the Settings and what alerts you can switch on and off. Last time I looked alerts are all switched on by default. 4. Adding a picture to a tweet tends to draw more interest – and a picture can mean a screenshot of a piece of text that you perhaps couldn’t otherwise squeeze into 140 characters. But use screenshots wisely and edit if necessary using a graphics editing tool – even Microsoft Paint on all Windows PCs/laptops can crop an image down to its bare essentials. For example don’t take a screenshot of your entire PC screen and expect people to find something in the bottom-left quarter of it. 5. You don’t have to reply to people who address a tweet at you – perhaps they’ve replied to you. Especially if you think it’ll just draw you into a conversation with a muppet. We all do it but it’s often fruitless. And replying is drawing attention to you and the muppet. 7. Don’t underestimate your tweets. These days there is something called Twitter Analytics which often shows me that despite no one retweeting or “liking” my tweets, I can see they are being read. Before Analytics, it often felt I was just talking to an empty room. 8. Also follow @eureferendum, @mrbrexit, @PWilliamsTBF and @WhiteWednesday for starters and look at who we are following and retweeting. The group is really starting to expand. If I tried listing all of us I’d forget someone. 1. If you have a smart phone (Apple iPhone, Samsung, HTC etc), download the Twitter app and log in using your username/password that you set up on the PC/laptop/Mac. This is where using Twitter really comes into its own because such apps make the whole Twitter experience very accessible for busy people and as Twitter is “quick and bursty” it means you can engage on Twitter in tiny bits of spare time (e.g. when waiting for the kettle to boil). But beware, it can become addictive. 2. Some people have a thing about following back. In other words if they follow you, they expect you to follow back. Some even say in their profiles “we always follow back” or similar. You will see that a lot of people have a very similar number of followers to followees – sometimes running into thousands. There was a time when following back was a real pain because it just meant your timeline filled up with more and more tweets making it impossible to really follow (in the normal English sense) what everyone was saying. These days you can follow someone but also mute them without them knowing. Thus they feel better that you have followed them but now your timeline doesn’t get overwhelmed with more and more tweets. The vast majority of people on Twitter follow more people than follow them. But if you do follow anyone who follows you, it tends to mean you build a bigger set of followers more quickly. 4. Do follow pro-EU accounts like @Britinfluence. Note what they are saying and what they are assuming. Hint: they nearly always (conveniently) assume that leaving the EU means leaving the single market. If you get past that, they then assume that just accessing the single market (like Norway) means no influence. And of course they assume Britain has major influence inside the EU. They are exposed on these three flanks but note that @Britinfluence run by @eurorealist can actually be quite good at engaging with people on Twitter….and batting away anti-EU replies. 5. Timing your tweeting activity makes a difference. Peak times when many people are looking at Twitter is as you’d expect: 6.45-9.00am, 12-2, 4.30-11pm. Tweet outside these times and your tweet is more likely to be largely ignored. In some smartphone apps used for Twitter (e.g The main Twitter app, Hootsuite, Tweetcaster, Echofon etc), you can write a tweet outside these times and save it to draft. Then release at a peak time. Note that even within these three time periods there can be “high peak” periods. So 4.30 – 5.00pm and then after about 7.30pm with a particular peak after 9.30pm. Remember that people have jobs, partners, and families. We all run to a similar routine. 6. Watch when key people are actively tweeting/retweeting on Twitter if you want to get their attention. There’s usually no point directing a tweet at somebody (say @DouglasCarswell) when he’s not online. When he next logs on via his iPhone, he’ll see 50 ‘mentions’ or more in his app and will probably ignore many of them. However when someone like this is actively tweeting, they do look at replies, and sometimes engage with them. Some of the well-known people are better than others at this. You get to soon learn who is “aloof” and who isn’t. 7. If you want to get the attention of journalists, think-tankers, MPs or MEPs then tweeting and replying to these people outside peak periods (and watching what these people are saying in non-peak periods) can be useful. 8. Be on Twitter when something is happening on TV/radio: Question Time, PMQs, Newsnight, The Daily Politics, The Marr Show, and use their hashtag while the programme is live. These days they will often quietly show the hashtag on screen and the presenter may even mention it. If there is ever a more “unique” political programme (like the Clegg vs Farage debate), be on Twitter for it and again use the published hashtag. 9. Use Search quite a lot. You can search for any words, hashtags, people. You can even search for something you might have once said. So to find if I once used the word ‘pillock’, I search for @whitewednesday pillock. And it seems I’ve used it about three times in five years! There is also an Advanced Search facility which can be hard to find at first. If in doubt google Twitter Advanced Search. 10. As you become more adept with Twitter, find an app called Tweetdeck for your PC/laptop/tablet. It can allow you to watch various timelines and hashtags all on one screen. 11. Ultimately, don’t be on Twitter just to endorse what people who agree with you are saying. Say something useful (or perhaps go back into someone’s old tweets and use something they’ve previously said). Write interesting replies to well-known tweeters. Maybe tempt some pro-EU people into conversation. What are they assuming? What prejudices are driving them? Work out what broad messages the pro-EU camp keep using e.g. business uncertainty; worries about closed borders; etc. 12. You can daisy-chain your tweets, perhaps to build a bigger point or mini-argument. Do this by posting a tweet. Then hit ‘reply’ to your own tweet and remove your own username that appears in the reply box. Then type out the new tweet and post it. The two tweets will appear to be joined together in the timelines of anyone following you. Or maybe someone finds one tweet due to some keyword you used….and they therefore find the other daisy-chained tweet. You can daisy-chain many tweets in this fashion by constantly replying to the one before. Don’t tweet/retweet anything by the Express or Breitbart London. They occasionally get things right and one or two bits are good but all the rest is misleading crap. And it’s not always obvious to someone new what is OK and what is crap. So just avoid them. I generally avoid engaging with anyone who hasn’t changed their profile picture from the default ‘egg’. If they can’t be bothered then nor can I. That’ll sound harsh but you will quickly find there are some people on Twitter who just spend their lives irritating others, never read/absorb what others say, and basically waste everyone’s time. What they get out of this, Lord knows. Also please avoid retweeting any individual tweets suggesting we can get can get a “better deal” than Norway, Switzerland etc. One core theme of Flexcit is that we can’t. You will find this comes up a lot, with various countries being suggested that the UK can be like (within 2 years) e.g. South Korea, Mexico, Chile. Another Flexcit theme is that we can do things about immigration but not to the extent that would satisfy the hardliners of the Brexit movement. And also not at the exact point of Brexit – it would come straight after exit when we could review adherance to the ECHR and also review pull factors (and to some extent, push factors too). Beware retweeting people who insist that something has to be done about free movement as part of the exit negotiations (the EU will not give way on this). A related theme of Flexcit is that very little can be achieved in terms of a “bespoke trade deal” in 2 years. These things take 5+ or 10+ years. And as we would be trying to do this from a position of 40 years of entanglement (i.e. a mess) and negotiating all sorts of other things beyond “mere” trade, it will take a long time. Again, avoid retweeting anything that suggests it can be done in quick time. Avoid anything that says we can save all our membership fees and spend it on nurses/defence/whatever. Avoid anything that suggests we can have a bonfire of regulations after exit. A core Flexcit theme is that a lot of these regulations are now made at global level for which an EU exit will, in reality, make no difference. Twitter does have its limitations. You can’t conduct a serious discussion of any depth on it – not without also linking to blogs/articles that also make your case. Even then you’ll find you soon hit a wall. Some liken tweeting to rolling up at red traffic lights in a car, shouting out the window at a group of people on the pavement before driving off when the lights turn green (perhaps after a little dialogue). That’s not a bad summary. Twitter is however the place to be these days. For us, it is the Westminster bubble online, except with real people like us also participating unlike the old days when journalists, MPs and others would meet around Westminster and discuss/debate between themselves. That still goes on of course but one can sometimes see opinions forming in front of you or more likely a theory that particular journalist is going to put in tomorrow’s newspaper first turning up in a tweet the day before. You can really see what is going on and what people are thinking. And yes you can sometimes persuade them. The pound’s ejection from the Exchange Rate Mechanism on 16th September 1992 caused serious ructions in British politics. Various Conservative backbenchers expressed their relief. Even Norman Lamont, the then Conservative Chancellor, suggested the event had him “singing in the bath”. At the Conservative Party conference just a few weeks after ejection, Norman Tebbit launched an acid attack on Prime Minister John Major who had been a prime mover in Britain’s membership of the ERM and who had also often declared he wanted Britain “at the heart of Europe”. This was all played out against a backdrop of the Danes rejecting the Maastricht Treaty at referendum just a few months before, a Treaty that a large number of Conservative backbenchers were deeply concerned about. As it turned out, the Danes were thrown a few crumbs at the Edinburgh summit in December 1992 and the Danish Government went on to call a re-vote on the Treaty – a vote that the Yes side won. But in the Autumn of 1992, Europhilia in Britain was on the back foot, eventually causing a vitriolic backlash from that quarter through it’s most vocal outlet at the time – The Independent newspaper. An editorial on 26th October 1992 captured the Europhile mood. It is notable that The Independent’s political editor during this period was one Andrew Marr. IT IS far from clear in what world the Conservative Party’s Europhobes are living. For several months they have shown their readiness to divide the party, to its own great detriment. By behaving like an alternative, internal opposition, they have added greatly to the Government’s difficulties – not a few of which derive from policy errors in the Thatcher era to which they look back so nostalgically. With their mutinous threats they have reduced the standing abroad not just of the Government but of the country of which they pose as such doughty patriots. A few, including Lord Tebbit, are now saying that losing John Major as Prime Minister would be a worthwhile price to pay for defeating the Maastricht Bill. Yet these same people were happy to be re-elected in April under Mr Major, who was widely rated a key factor in the party’s victory. And they were content to fight on a manifesto that stated ‘The Conservatives have been the party of Britain in Europe for 30 years’; and that ‘the Maastricht treaty was a success both for Britain and for the rest of Europe’ (not least because much of it goes against the federalising trend). Once re-elected, they fought viciously to disprove these statements. The spectacle is both nauseating and pathetic: nauseating because this heterogeneous rump of Thatcherites, little Englanders, xenophobes and eccentric constitutionalists appears to have no concept of loyalty; pathetic because they have no alternative agenda. In their conceit they are convinced they know better than the Government (and the Opposition) where this country’s true interests lie. But what vision do they substitute? Not, to be sure, of a perfidious Albion notorious for going back on treaties that it has signed; nor of a country whose outdated notions of sovereignty led either to Britain being marginalised in Europe, or to a historic undermining of the EC’s role as a bulwark against resurgent nationalism. Yet those are both likely outcomes. The Europhobes’ idea of the EC reverting to a mere Common Market is a naive anachronism. At last Mr Major has decided to take them on. He knows that failure to have the Maastricht ratification process under way before the Edinburgh summit in December would seriously undermine British influence in Europe: his negotiating position has already been weakened by his party’s divisions over the Bill’s timetable. And he knows that if the Bill is lost, his own credibility as well as Britain’s position within the EC will be shattered. This has set in train procedures that will confront the rebels with the ultimate choice: toe the line or bring down the Government by voting against a confidence motion. It is virtually unthinkable that he would call a general election, let alone resign, without having gone through that procedure – which makes his threats to do so seem gratuitous and constitutionally eccentric. As for the anti-Maastricht rebels, it is scarcely conceivable that they would precipitate a general election which would almost certainly be fought on a different issue, and one much closer to most people’s hearts: the Government’s management of the economy. Yet the record suggests that thinking through the likely consequences of their actions is not a strong point. If the rest of the party does not wish to go down with them, its elders must jerk the potential rebels to their senses. Bad news overnight. It seems Business for Britain’s “[insert group here] for Britain” meme has now ensnared Conservative “eurosceptics”. We therefore have the bizarre situation of a large part of the potential No campaign staying off the field for most of the match, leaving it wide open to UKIP to set the terms of the campaign. – all polls are in Cameron’s favour and suggest the public will trust Cameron if he comes back with *something*. Even before he does so, polls also suggest that the Yes vote is way out in front. That last one was unexpected for many of these “eurosceptics”. Dave may have originally made his pledge on a 2017 referendum believing he’d never have to deliver it, but many on the Tory “eurosceptic” wing also thought they’d never have to fight such a referendum thus making it easy for them to call for one…. at least it was easy up until 7th May. If all that is true then it suggests a bargain has been struck at a high level in the Conservative Party – to make the referendum a damp squib devoid of any meaning. And that’ll mean staying in the EU. The motive: To keep the Conservative party together now that it’s rediscovered the art of winning elections. Farage may even play along, inadvertantly, by boycotting the referendum, as suggested by Breitbart yesterday. Is this theory too conspiratorial or too clever? Not really. Start from a position of Conservative Party tribal loyalty (as many of them will) and everything else slots into place. But as with most things in life, it is probably not completely black and white. I imagine some of them have arrived at Conservatives for Britain using precisely the logic above but others will be joining because they’d be otherwise outnumbered. Plus they genuinely think that waiting-and-declaring-No will give No a real boost at the right time. They are the ones lining up to be sucker-punched yet even they might be persuaded, come the time, that the real In/Out referendum is simply being deferred to another day (the day of real treaty change). But whichever way one looks at this, it is a case of “party before country”. In the long term, that can only destroy the slightest claim the Conservative Party or its individual members might have had of representing the ‘eurosceptic’ movement. It’ll yet again boost UKIP and then the only thing standing in the way of that party’s greater political advancement & maturity will be Farage and his cult of rage. Once again the prospect of the UK having EU “associate membership” has been raised. The concept has a long history extending back to at least 1963 and brought up more recently in 2013 by the staunchly federalist Spinelli Group. This time however, ‘associate membership’ has been raised by Belgian arch-federalist Guy Verhofstadt in an article last month. It is clear he is coming from a position of being “fed up with institutional deadlock” (i.e. full integration isn’t happening fast enough for him) and he can see who the blocker is – Britain. Full membership involving “ever closer union with one currency, one economic policy, one army [please note, Nick Clegg] and one foreign policy.” In other words, a country called Europe. So associate membership appears to be akin to EEA membership. Verhofstadt’s words don’t however go as far as EEA membership, despite that being the clear implication. A charitable reading of the article would suggest that in such a short contribution, he couldn’t set out the full terms of associate membership; its effect on participation in various common policies; or its effect on budget contributions and such like. We would also point out that associate membership still means “EU membership”, thereby giving us good reason to be sceptical about the terms of such membership. Should it ever happen, in the public mind it would give the illusion that something dramatic has changed while remaining members of the EU. In other words we’d be permanently stuck in the EU with a second tier status making it wholly unsatisfactory. An alternative reading, however, is that Verhofstadt’s view at least provides a basis for discussion about a real grand bargain: one that does indeed see the UK stepping back from EU membership to EEA membership, including the UK retaking an independent seat on global bodies, being able to sign independent trade treaties with other non-EU countries, and seeing our contribution to the EU drop so that it simply covers access to the single market. That means we could be looking at a very different landscape if the allegedly-eurosceptic UK government was actually eurosceptic and was seeking such a grand bargain. But therein lies the rub – they are seeking no such thing. But a UK No vote in a referendum would force the UK government to this point – EU exit but continued participation in the single market. Hence that No vote is looking more necessary than ever. Based on a turnout of about 65%, the EU ‘No’ campaign will need about 16 million votes to win. So…. At the 2015 Election there were about 4m UKIP votes. Assume they’re in the bag. Now add about 50% of the 11m Tory voters who say they are minded to vote No. That’s another 5.5m. So that comes to 13 million votes. Meaning we need to find another 3 million among Libdem voters, Green voters, Plaid, SNP and Northern Ireland voters….as well as not irritating the hell out of the Labour & Tory voters who are minded to support us but who are “obviously” part of cyber-kippers’ Liblabcon progressive Common Purpose Bilderberg Illuminati metro-elite. Do you really think those 3 million people are going to respond to such cyber-kipper nonsense or to Farage’s rantings about road-clogging Muslim Romanians with HIV who live next door and talk funny? 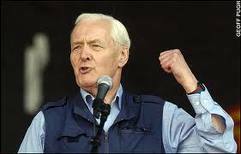 As the debate over a federal Europe intensified towards the end of 1991, with the signing of the Maastricht Treaty imminent, Tony Benn, Labour MP for Chesterfield made this speech to the House of Commons. It was admired by many Conservatives who believed on this occasion he spoke for Britain. Norman Tebbit (now Lord Tebbit of Chingford), a staunch ally of Margaret Thatcher, said it was the best speech he had ever heard in the house. “Some people genuinely believe that we shall never get social justice from the British Government, but we shall get it from Jacques Delors; They believe that a good king is better than a bad Parliament. I have never taken that view. Others believe that the change is inevitable, and that the common currency will protect us from inflation and will provide a wage policy. They believe that it will control speculation and that Britain cannot survive alone. None of those arguments persuade me because the argument has never been about sovereignty. I do not know what a sovereign is, apart from the one that used to be in gold and the Pope who is sovereign in the Vatican. We are talking about democracy. No nation – not even the great United States which could, for all I know, be destroyed by a nuclear weapon from a third-world country – has the power to impose its will on other countries. We are discussing whether the British people are to be allowed to elect those who make the laws under which they are governed. 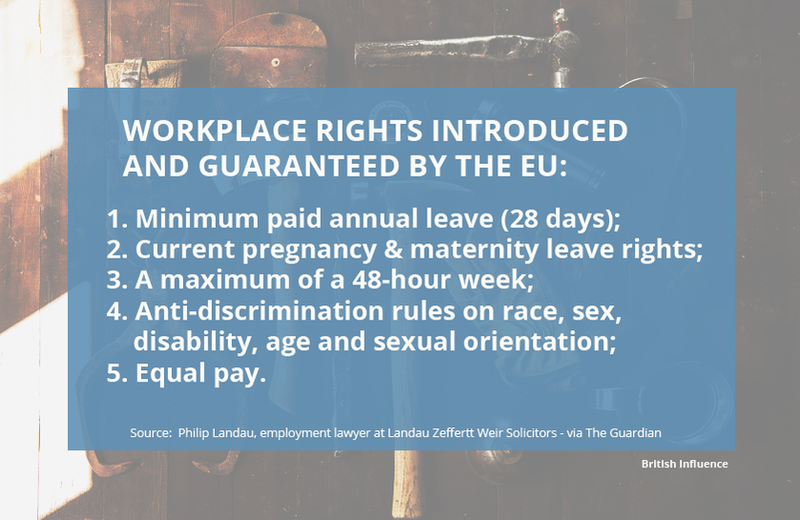 The argument is nothing to do with whether we should get more maternity leave from Madame Papandreou [a European Commissioner] than from Madame Thatcher. That is not the issue. I recognize that when the members of the three Front Benches agree, I am in a minority. My next job therefore is to explain to the people of Chesterfield what we have decided. I will say first, ‘My dear constituents, in future you will be governed by people whom you do not elect and cannot remove. I am sorry about it. They may give you better creches and shorter working hours but you cannot remove them.’ I know that it sounds negative but I have always thought it as positive to say that the important thing about democracy is that we can remove without bloodshed the people who govern us. We can get rid of a Callaghan, a Wilson or even a Right Hon. Lady by internal processes. We can get rid of a Right Hon. Member for Huntingdon (Mr Major). But that cannot be done in the structure that is proposed. Even if one likes the policies of the people in Europe one cannot get rid of them. Secondly, we say to my favourite friends, the Chartists and suffragettes, ‘All your struggles to get control of the ballot box were a waste of time. We shall be run in future by a few white persons, as in 1832.’ The instrument, I might add, is the Royal Prerogative of treaty making. For the first time since 1649 the Crown makes the laws – advised, I admit, by the Prime Minister. We must ask what will happen when people realize what we have done. We have had a marvellous debate about Europe, but none of us has discussed our relationship with the people who sent us here. Hon. Members have expressed views on Albania and the Baltic states. I have been dazzled by the knowledge of the continent of which we are all part. NO one has spoken about how he or she got here and what we were sent here to do. If people lose the power to sack their Government one of several things happens. First, people may just slope off. Apathy could destroy democracy. When the turnout drops below 50 per cent, we are in danger… The second thing that people can do is to riot. Riot is an old-fashioned method for drawing the attention of the Government to what is wrong. It is difficult for an elected person to admit it, but the riot at Strangeways produced some prison reforms. Riot has historically played a much larger part in British politics than we are ever allowed to know. Thirdly, nationalism can arise. Instead of blaming the Treaty of Rome, people say, ‘It is those Germans’ or ‘It is the French’. Nationalism is built out of frustration that people feel when they cannot get their way through the ballot box. With nationalism comes repression. I hope that it is not pessimistic – in my view it is not – to say that democracy hangs by a thread in every country of the world. Unless we can offer people a peaceful route to the resolution of injustices through the ballot box they will not listen to a House that has blocked off that route. There are many alternatives open to us. One Hon. Member said that he was young and had not fought in the war. He looked at a new Europe. But there have been five Europes this century. There was one run by the King, the Kaiser and the Tsar – they were all cousins so that was very comfortable. They were all Queen Victoria’s grandsons. And there was no nonsense about human rights when Queen Victoria’s grandsons repressed people. Then there was the Russian revolution. Then there was the inter-war period. Then there was the Anglo-Soviet alliance. Then there was the cold war. Now we have a Boris Yeltsin who has joined the Monday Club. There have been so many Europes. This is not the only Europe on offer. Another way would be to have a looser, wider Europe. I have an idea for a Commonwealth of Europe. I am introducing a bill on the subject. Europe would be rather like the British Common-wealth. We would work by consent with people. Or we could accept this ghastly proposal, which is clumsy, secretive, centralized, bureaucratic and divisive. That is how I regard the Treaty of Rome. I was born a European and I will die one. But I have never put my alliance behind the Treaty of Rome. I object to it. I hate being called an anti-European. How can one be anti-European when one is born in Europe? It is like saying that one is anti-British if one does not agree with the Chancellor of the Exchequer. What a lot of nonsense it is. I ask myself why the House is ready to contemplate abandoning its duties, as I fear that it is. I was elected forty-one years ago this month. This Chamber has lost confidence in democracy. It believes that it must be governed by someone else. It is afraid to use the powers entrusted to it by its constituents. It has traded power for status. One gets asked to go on the telly if one is a Member of Parliament. The Chamber does not want to use its power. It has accepted the role of a spectator and joined what Bagehot called the dignified part of the constitution, leaving the Crown, under the control of the Prime Minister, to be the Executive part. If democracy is destroyed in Britain it will be not the communists, Trotskyists or subversives but this House which threw it away. The rights that are entrusted to us are not for us to give away. Even if I agree with everything that is proposed, I cannot hand away powers lent to me for five years by the people of Chesterfield. I just could not do it. It would be theft of public rights. Therefore, there is only one answer. If people are determined to submit themselves to Jacques Delors, Madame Papandreou and the Council of Ministers, we must tell the people what is planned. If people vote for that, they will all have capitulated. Julius Caesar said, ‘We are just merging our sovereignty.’ So did William the Conqueror.